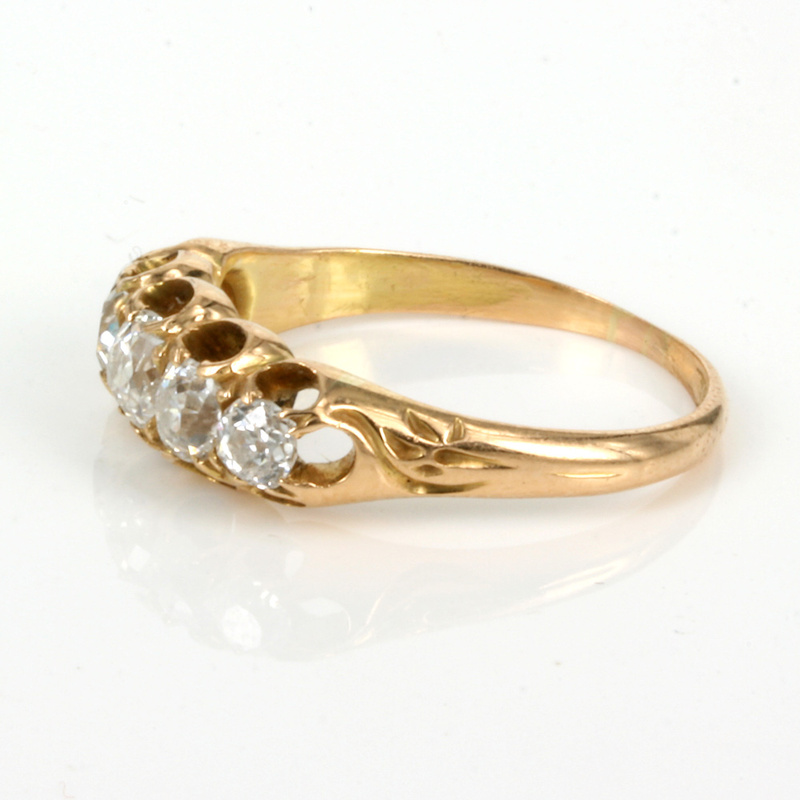 Antique diamond engagement ring from the 1890's. Antique 5 stone diamond engagement ring from the 1890’s. Product code: ES6013 Categories: Sold Items, Sold Rings. Sometimes you put an antique diamond engagement ring on your finger and it just feels so right as this one does when it sits elegantly on the finger. From one end across to the other this distance measures 16.6mm and at the centre it measures 6.5mm wide and sits perfect on the finger. An antique diamond engagement is so unique and special and this one is just perfect.